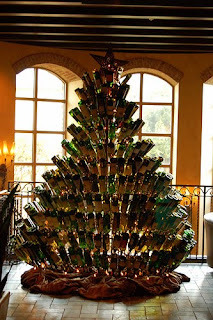 I want a wine bottle Christmas tree uncorked!!! The Blonde is lucky to have an empty stocking instead of coal! !